Ms Owl, how did you do it that they call you the smartest? Do you remember all those mathematic powers, numbers and operations? How is that possible? It isn’t easy! 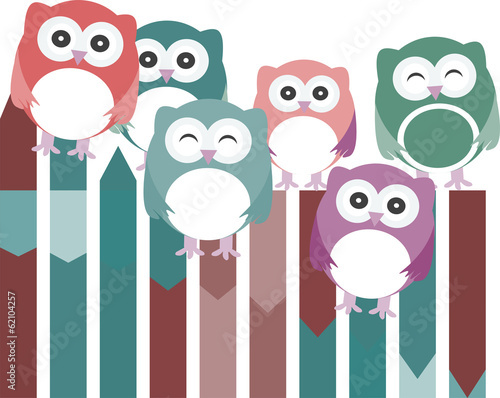 A photo wallpaper with smart owls will be a motivation for your child. Look, they are keen to acquire knowledge. Let them assist your child.